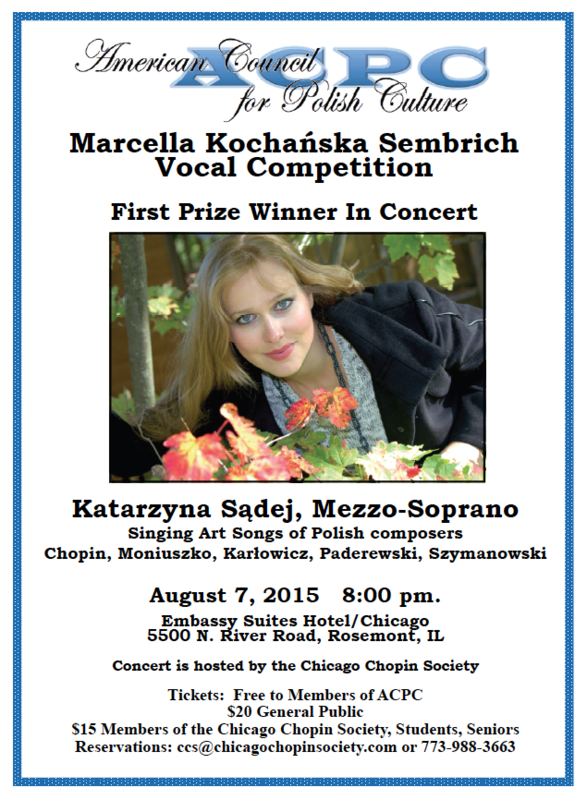 The American Council for Polish Culture (ACPC) and The Chicago Chopin Society are proud to announce the winner of the 2015 ACPC Marcella Kochańska Sembrich Vocal Competition, Katarzyna Sądej. She will perform in concert during the 67th Annual ACPC Convention on Friday, August 7, 2015 at 8 PM in the Embassy Suites Hotel, 5500 N. River Rd., Rosemont, Illinois. Katarzyna Sądej will showcase the art songs of Polish composers: Chopin, Moniuszko, Karłowicz, Paderewski, and Szymanowski. She will be accompanied by Dr. Slawomir Dobrzanski. Ms. Katarzyna Sądej, age 31, is a Polish-born mezzo soprano. Ms. Sądej has two Master's degrees, in Vocal Arts from Bard College, and in Opera Performance from the University of Toronto. 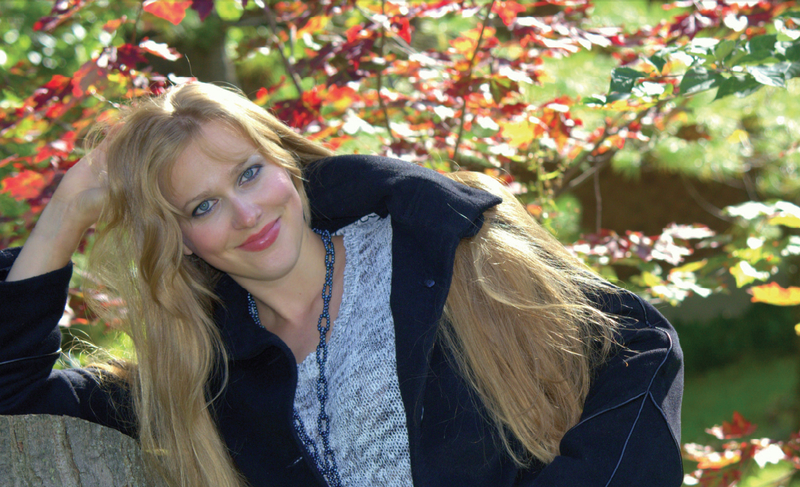 Katarzyna teaches voice in San Diego, and is an avid recitalist, having performed in the US, Canada, France, Ukraine, Croatia, Serbia, Montenegro, and Colombia. In addition to singing many operatic roles while in college, Ms. Sądej sang in world premieres of two operas, one of them at Carnegie Hall. Katarzyna (Kasia) is fluent in Polish as well as French, Spanish, and Italian, making her an ideal ambassador to promote the music of Polish composers internationally. The prize money from the Sembrich competition will assist Katarzyna in her career goal, which is to audition for European opera companies, and, like Marcella Sembrich, become an international Polish opera star. This is the first Sembrich competition to be judged entirely by professional vocalists, active in the world of opera. Edyta Kulczak, frequent performer with the Metropolitan Opera wrote of Katarzyna's audition: "I absolutely love her singing! Beautiful, rich voice! Great technique and sensibility in singing. I would like to hear her live. Thinking about introducing her to Lenore Rosenberg at the Met."